Congratulations to Marian B. Pantorillo for winning this contest! Marian said "Thank you for introducing ATC that is truly fun to make and letting our creative side show. I hope that you can have another contest like this soon." 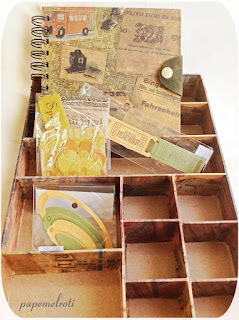 If you've never tried your hand at scrapbooking, now is the time to start. 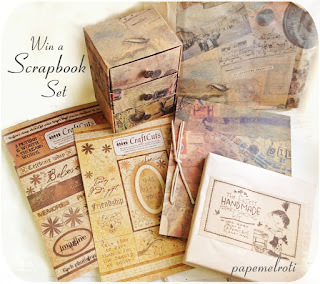 Papemelroti's Christmas giveaway for all of you is a Scrapbook Set that will help preserve your memories for years to come. See what items are up for grabs!!! The items are all coordinated with the Adventure Theme. 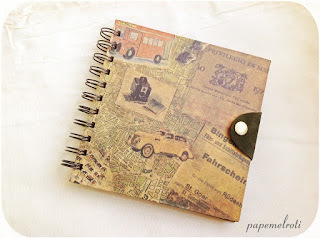 Great for travel photos! 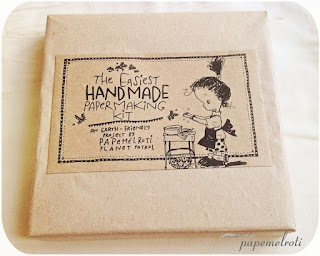 This handmade paper kit is re-usable and can make textured paper out of your old used paper. 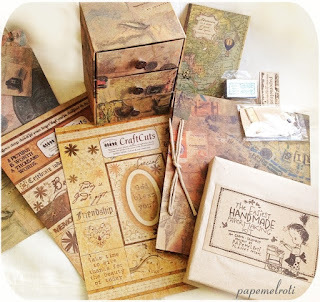 All of these products are made with 100% unbleached recycled paper! This means no harsh chemicals were released into the environment and of course, no trees were cut down to make these products. 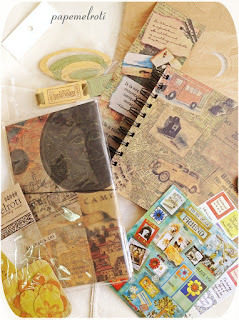 To win this set, all you have to do is make your own ATC out of any art materials you can use. What's an ATC? A-rtist T-rading C-ards are just miniature art. They can have any theme, style or done with any material. Just take a picture, post on our contest page, tag it with your e-mail address and you're in! The standard size of an ATC is 2.5 x 3.5 inches or 6.4 X 8.9 cm. 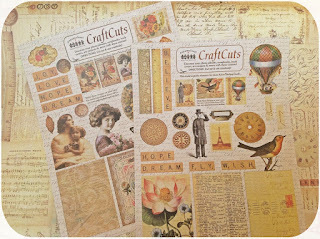 You can use our Craft Cut sheets like below. This piece was made by cutting out the shapes on the Craft Cut Sheet and pasting it together one on top of the other. *You don't have to be an artist or professional designer to make an ATC. 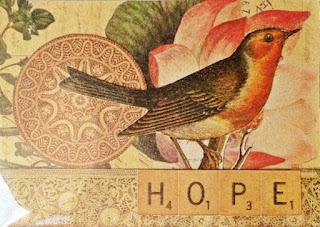 You can use the collage technique (like in our sample above) using old magazines or photographs or you can draw, write words, paste leaves (there is no limit to what your ATC can portray). It can be about anything you like! Upload a picture of the ATC you made below (click on the Public Uploader button) and we will raffle off the entries. Please put your e-mail address in the comments below the ATC you made so that if you're the winner, we can contact you. 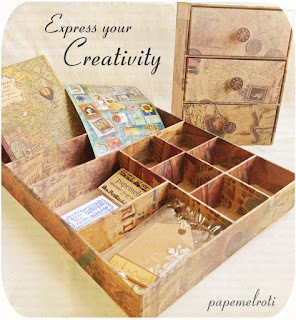 We're excited to see what you will make! Make as many ATCs as you want, the more you make, the more chances to win! Please don't be shy to post your work here. 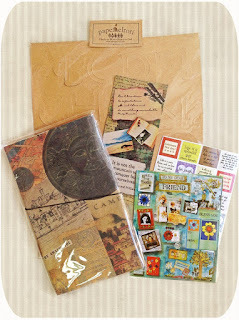 We're giving you more time to make your ATCs so this contest ends on January 19, 2013. *Winners must reply within 7 days or we will sadly have to pick another winner.